Nancy Pelosi BUSTED In HUGE Lie, There Is No Going Back From This! 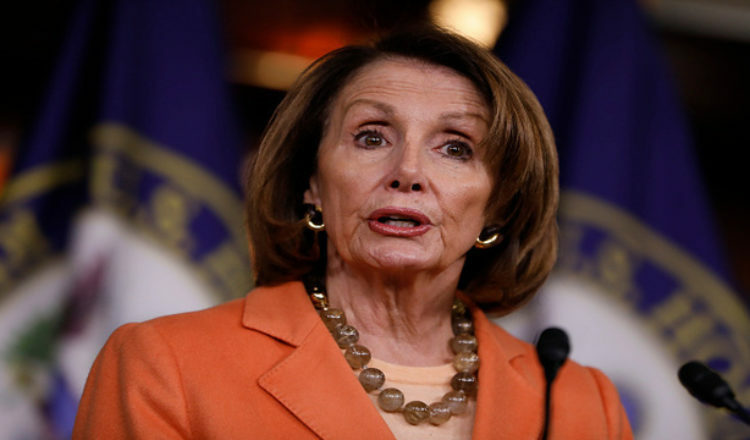 Nancy Pelosi has, of course, decided to join most of the liberal politicians and adamantly oppose both Donald Trump and anyone associated with him. When it comes to Jeff Sessions, that means making a stand and opposing both his nomination and his legitimacy. Young Conservatives reported on the situation. Apparently Pelosi isn’t as innocent as she would like her constituents to believe. Rep. Nancy Pelosi was being interviewed by Politico about the Jeff Sessions controversy over Russian contacts. She tried to claim that it was uncommon for senators to have had a meeting with the Russian ambassador. This of course has already clearly been shown to be untrue. Senator Ted Cruz noted how it was a common part of the job to meet ambassadors. Sen. Dianne Feinstein even said that she had frequent meetings with the Russian ambassador. Pelosi denied that she had met with the current ambassador. But that wasn’t quite true. But a file photo from Pelosi’s 2010 meeting with Russian President Dmitriy Medvedev shows Kislyak at the table across from Pelosi — then House speaker — and Rep. Steny Hoyer (D-Md.). Medvedev had been in the country for a meeting with President Barack Obama a day earlier and stopped in on Capitol Hill to meet with congressional leaders as well. Asked to square Pelosi’s comments with the photo of the meeting, a spokesman said Pelosi simply meant she never had a solo meeting with Kislyak. Moving forward, Pelosi will continue to lie and sensationalize anything that condemns Donald Trump. But at least we know not to listen to anything she has to say.